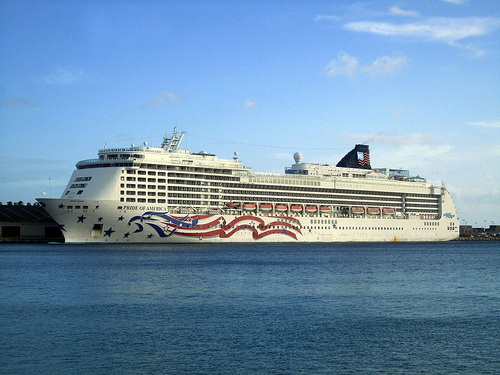 If you’re looking for a cruise to Hawaii this summer, look no further than Pride of America. This year and in, early 2014, this magnificent ship takes guests on a fantastic journey around Hawaii and the surrounding area in true luxury. See our latest Pride of America cruise deals here – or keep reading to find out what to expect on your next cruise. The only ship that sails round trips from Honolulu all year round, Pride of America is a great choice if you’re looking to learn about the Hawaiian culture and take in some great sights along the way. The ship recently underwent a $30 million overhaul and now features beautiful new suites, new restaurants and a whole lot more. Pride of America is host to a huge range of restaurants, featuring all kinds of international cuisine. Whether pizza, steak, Brazilian, French or Japanese food is your thing, it’s all here – and that’s just a few of the options! Better still, food at the Aloha Cafe and the Cadillac Diner is included in your ticket price. There’s plenty of entertainment on offer – a video game arcade, golf driving net, jogging track, pools, a spa and much more. If you feel like a proper work out, the Santa Fe fitness centre is there for you. You can keep in touch with what’s going on back home in the on-board internet centre. And if you want a bit of peace and quiet from the kids, just drop them off at the kids or teen club while you kick back and relax. The ship also features a number of entertaining stage shows, including comedy, ‘Oh What A Night’ (performing popular songs by Frankie Valli and the Four Seasons) and the White Hot Party. Put simply, there’s something for everyone on board. When it comes to accommodation, Pride of America really has it figured out. A feature you won’t find on all ships are the Studio rooms, designed for the solo traveller. Not only will you get a full-sized bed and comfortable surroundings, you’ll have access to the exclusive Studio Lounge where you can get to know other solo travellers and make some new friends. For travelling friends or couples, the Inside staterooms represent the best value for money – low-cost rooms with no sea view, but all the comfort you’d expect from a Norwegian Cruise Line ship. Oceanview rooms are the next step up, with fantastic views across the ocean view as you sail from port to port. Balcony rooms provide more space, better amenities and your own private balcony where you can enjoy the sea air. And for the very best experience, the Suites offer true luxury and a number of exclusive benefits including Butler service and concierge. You can see the latest Pride of America cruise deals here. We’re always updating our range of cruises, so be sure to use the search tool if you can’t see what you’re looking for at first.